Over seven years ago, Lionhead Studios’ Fable III was released. Some loved it, some hated it, but most agreed it wasn’t as good as the previous two games. 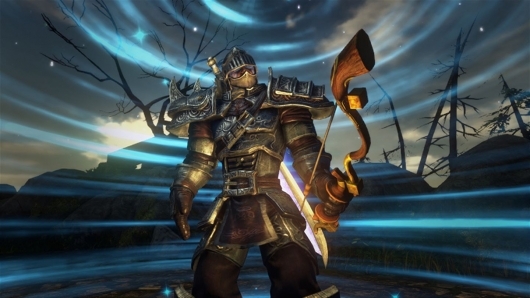 Still, it was assumed at the time that work would then begin on Fable IV, which would hopefully get back to focusing on what fans of the series loved so much about earlier games. Then came some unexpected curve balls. First, it was revealed that the next game would actually be a free-to-play co-op game titled Fable Legends, and that Fable IV wasn’t being worked on at all. Then, just before it was supposed to be released, Legends was abruptly canceled and Lionhead shut down by Microsoft. And though Xbox head Phil Spencer didn’t rule out the possibility of a new game in the future, fans moved on with little hope. Now, nearly two years after Legends was killed off (believe it or not), whispers of a possible Fable IV existing have started to make the rounds. Nothing below is confirmation that a new game is happening, but if you dream of the day a new entry in the series will arrive, it certainly is intriguing. A few years back we were surprised to find out that a prequel to developer Lionhead Studios’ Fable franchise was in the works titled Fable Legends, and that it would be a co-op game instead of the single-player RPG faithful fans of the series originally fell in love with. To make matters worse, it was made clear that the Fable IV everyone wanted and had been waiting for, at that time, for three years wasn’t being worked on at all. Said fans were confused, but many tried to remain open-minded. Then came another surprise. A little over a year ago, when Fable Legends seemed close to a release and was even being played in a closed beta, the game was canceled and Lionhead closed. It’s now been nearly seven years since Fable III was released, and while the current state of the Fable franchise is quite depressing, it seemed unlikely such a popular franchise it would stay dead forever. Unfortunately I can’t report today that the series is being revived, but a comment from the head of Xbox recently did not rule out the possibility. A few months back now the gaming world was shocked by the news that Microsoft had decided to close down the game studio behind the beloved Fable franchise, Lionhead Studios, and cancel the latest game in the series, Fable Legends. But, as it turns out, Legends was not the only project that was being worked on by Lionhead. A much smaller unannounced game titled Fable Fortune was also being developed. But instead of just tossing it in the garbage, as appears to be the fate of Legends, Microsoft granted permission to those who were developing it to continue working on it under their own new studio, Flaming Fowl Studios. 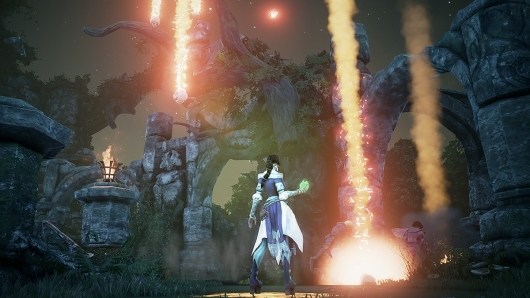 To gather the funds for what could be the last Fable game we see in a long time, they’re looking to fans on Kickstarter. Continue below for more info and to see their pitch video, as well as some gameplay videos. Well then…did not see this one coming. Microsoft Studios has announced that Fable Legends, the latest title in Lionhead Studios’ Fable game series that’s been in the works for a few years now, has been canceled, and that Lionhead itself might get shut down. 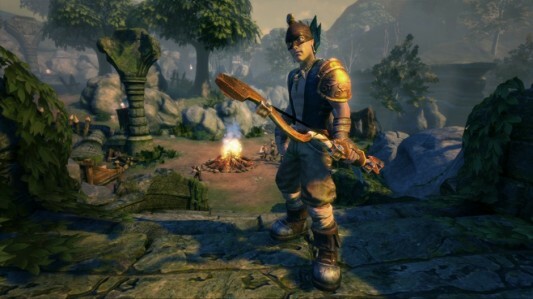 It’s already been a couple of years now—believe it or not—since we first found out that Lionhead Studios, developer of the hit Fable video game series, was focusing all of their efforts on a co-op prequel titled Fable Legends that we eventually would find out is a four-vs-one free-to-play game instead of the expected Fable IV. The game is still well on its way, and has been in a closed beta for a while now, collecting valuable feedback from those invited to play to use in polishing what will become the final product. An open beta of the game where any and all who wanted to test it out could do just that has been in the plans as well, but today comes word that anyone waiting for that opportunity will have to wait a little bit longer as the open beta has been pushed back to spring of 2016. You can read the announcement from Lionhead and see a video talking about their decision below. One year ago we found ourselves pondering the future of the Fable franchise, knowing that the type of game die hard fans of the series love and expect had been thrown out the window in order to jump on the current mess of a gaming trend bandwagon and make a co-op four vs. one type of game instead. The big question then was, would this new game still cost what a normal game costs or would it also embrace other unpopular things such as monthly subscription fees or microtransactions? Now we have an answer. The good news is that Fable Legends will not have a monthly subscription fee like The Elder Scrolls Online had before the recent decision to drop it. In fact, it won’t have any fees. The game will be free to play…with the option for in-game purchases of course. You can see details about what this means and where you can play, and also see a video of the announcement below. E3 2014 is officially underway, and plenty of games have already been shown. One highly anticipated upcoming game that was announced back in August of last year is Fable Legends. 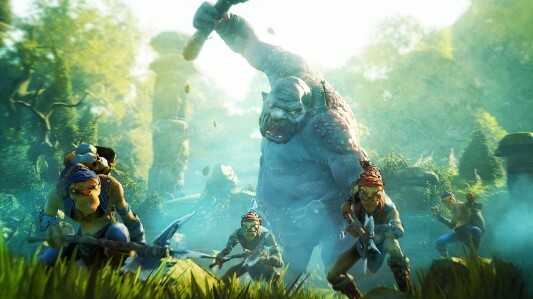 The game comes in place of the once expected Fable IV, which Lionhead Studios has said is not currently being worked on, and is built around co-op gaming, which has many fans of the series differing in their levels of excitement. The first gameplay demo for Fable Legends was presented today, and you can watch it as well as a trailer below. Will ‘Fable Legends’ Require A Subscription Fee, Microtransactions? 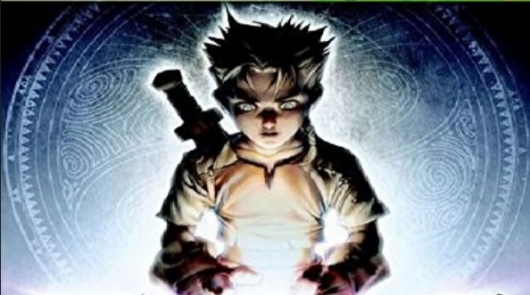 We first found out about Fable Legends back in August. Developer Lionhead Studios also announced at the time that the game, a prequel set in the earlier years of the land of Albion (before all that guns nonsense, back when it was truly magical), was almost exclusively their focus, and Fable IV was not being made. Lots of information was given about the new game, which would add an online cooperative multiplayer element that would allow you to play with friends, similarly to what The Elder Scrolls Online is doing. All of that is well and good, but some new quotes from John Needham, the man who replaced Peter Molyneaux at the top of Lionhead, could lead one to presume that, just like the aforementioned Elder Scrolls Online, Fable Legends could be going the route of monthly subscription fees, or maybe microtransactions. First came Fable: The Journey. Then came that mysterious cinematic teaser trailer. 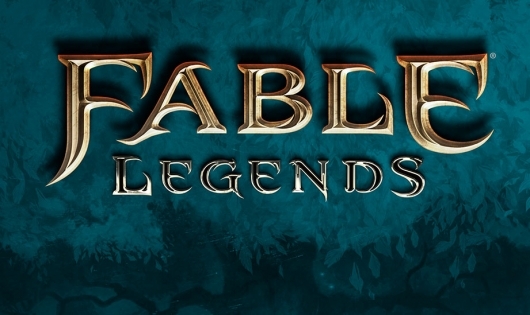 Now comes a brand new game in the Fable universe titled Fable Legends. None of these became what fans really wanted one of them to become, and that is of course Fable IV. The Journey ended up being a separate disappointing Kinect title. The mysterious trailer was for the HD anniversary re-release of the original Fable with The Lost Chapters (which, to be perfectly fair, is very much exciting in its own right). 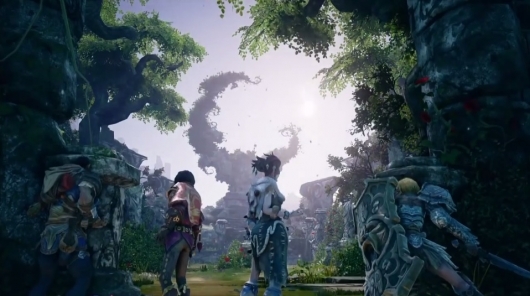 Fable Legends is…well, something else. It sounds like it’s somewhere in between Dragon Age and The Elder Scrolls Online. Continue below to find out what we do know so far, and to see the game’s first trailer.